A play dedicated to the memory of legendary martial arts master Cai Longyun recently premiered at the Magnolia Theater in Shanghai. 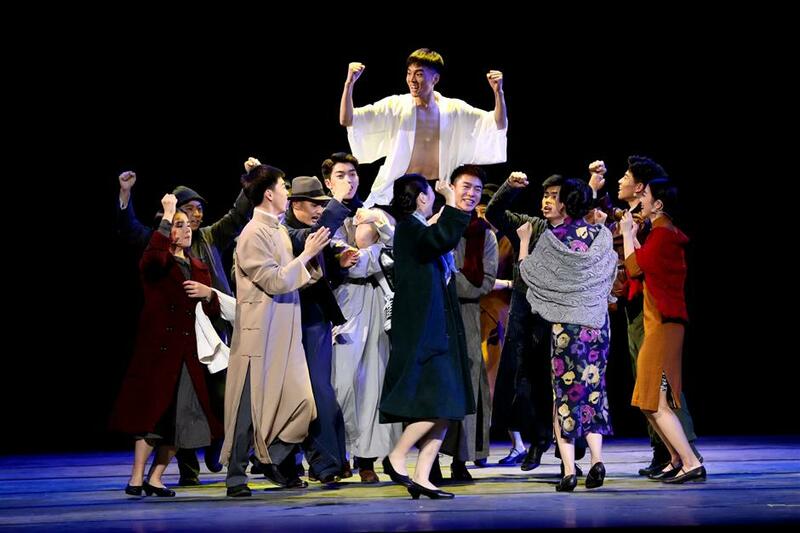 A scene in the play shows Cai Longyun was lifted up after he defeated Russian fighter named Marceau Love. The play "Cai Longyun," produced by Shanghai University of Sport, where Cai worked as a professor, took 18 months of research, script writing and rehearsals. Cai shot to fame when he was only 14 years old by defeating an internationally renowned Russian fighter named Marceau Love – a man 11 years his senior. Born to the son of a famous martial artist, Cai Guiqin, in 1928 in Shandong Province, Cai started practicing martial arts at the age of 4. By the age of 9, he was already proficient in several martial arts’ styles, including luo han quan (arhat boxing). His name “long” means dragon in Chinese, and Cai was later called “shen quan da long,” or big dragon with magic fists. 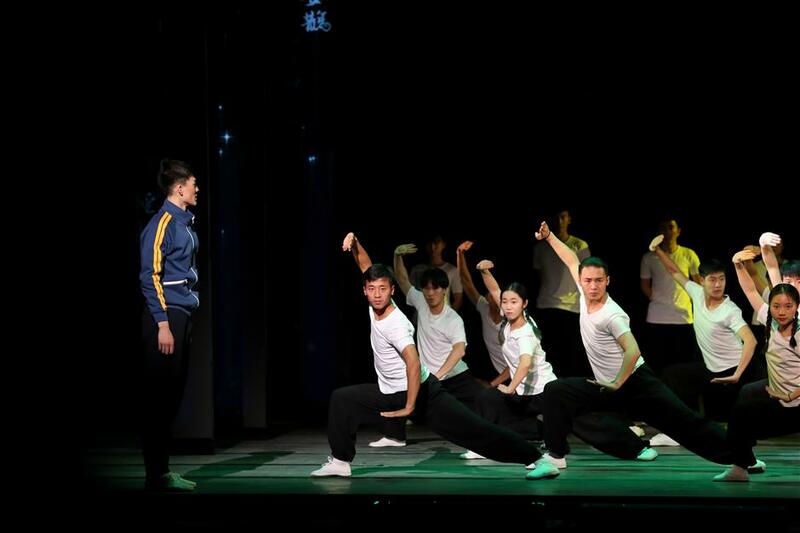 A scene in the play shows Cai Longyun taught students at Shanghai University of Sport. After the People’s Republic of China was founded, Cai was selected to fight for the national martial arts’ team. He eventually went on to become its leader in his later years. He joined Shanghai University of Sport in 1960 to teach and research the martial arts’ discipline. Cai was also vice chairman of the Chinese Martial Arts Association, became a chief judge in many national and international martial arts’ competitions and published many articles and books on the sport. And when China implemented its first martial arts’ belt system, he was one of only three individuals nationwide to achieve the ninth, and highest, degree. Cai believed the martial arts are not only a way to keep fit but also an important discipline to foster national spirit. He said the process of martial arts’ training is a course of "internal and external cultivation." Lu Jun, screenwriter of the play, revealed he had spent more than a year doing research, interviewing Cai’s relatives, friends and students, and revised the script more than 10 times. Yu Zhong, a teacher of Shanghai Theater Academy, played the character of Cai as a middle-aged and old man. He was a student of Cai in the 1980s when studying at Shanghai University of Sport. The play was only performed twice to an invited audience only but the university revealed they plan to stage it for more people in the future. Cai died in 2015 at the age 87. A file photo shows the moment when Cai defeated Russian fighter named Marceau Love.